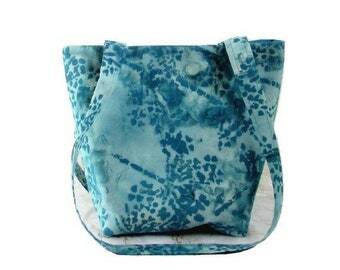 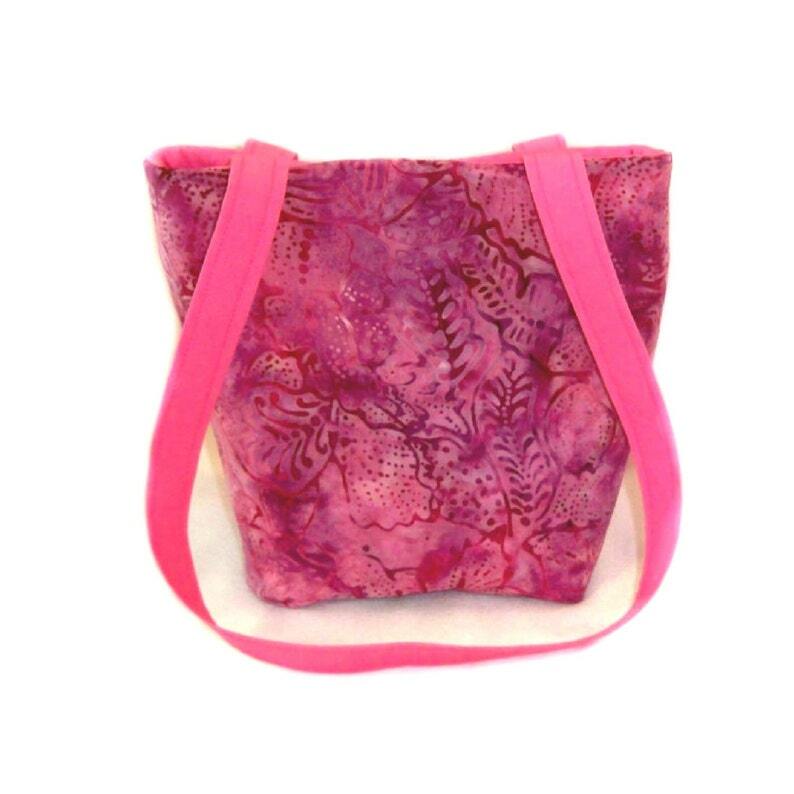 Batik Purse, Small Tote Bag has Pink Leaves Pattern on a Pink & Purple Background. 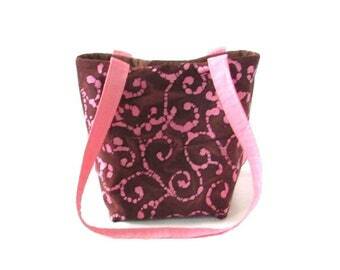 The colors are Light & Dark Pink, with a little bit of Purple. This Handmade Bag is fully lined in Pink, has 4 Light Pink slip type pockets, 2 Pink Handles & a Magnetic Snap Closure.